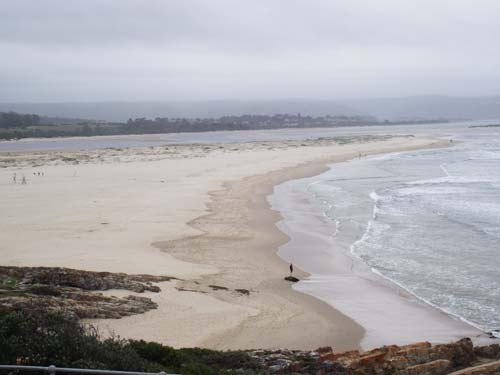 Starting in 2003 I began photographing the mouth from the outcrop above the beach and have managed to capture some of the erosion as the sea ate away at the beach and the land behind it. 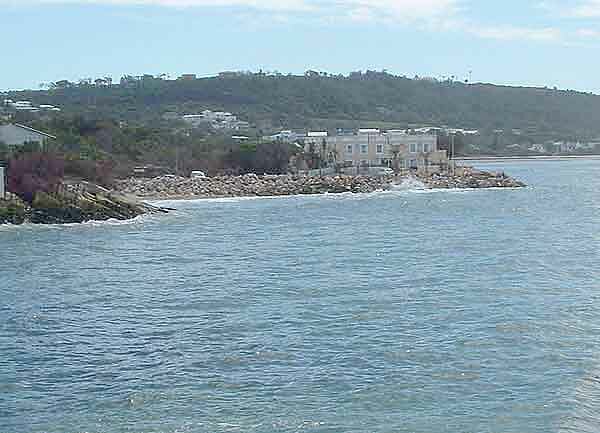 As you can see from the photo above the Lookout Beach extends about three hundred metres from the rocky outcrop to the then mouth of the river. 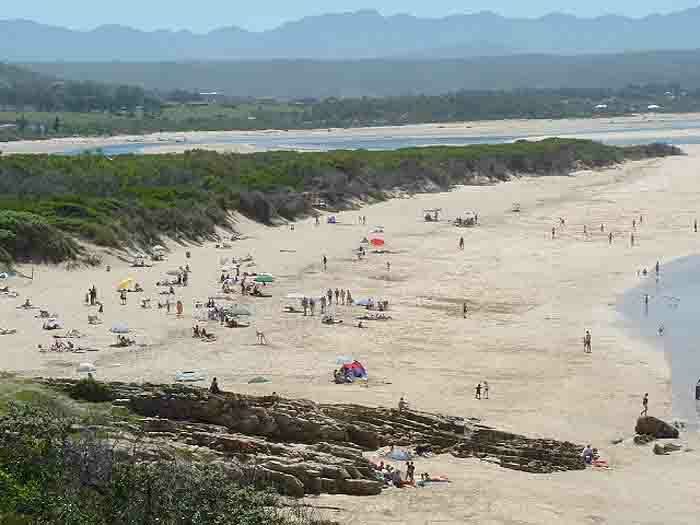 Behind the beach is a lot of alien bush which holds the drifting sand together and shelters the beach from the wind. 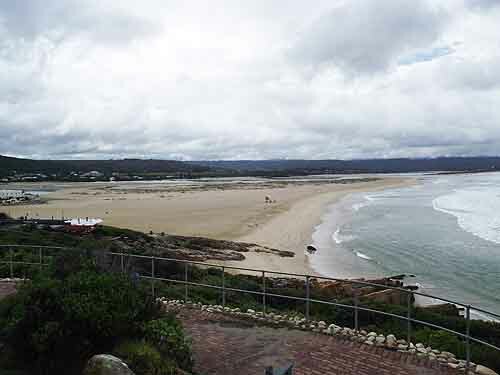 Lookout Beach at low tide and high tide above have not changed much since the July photos were taken. 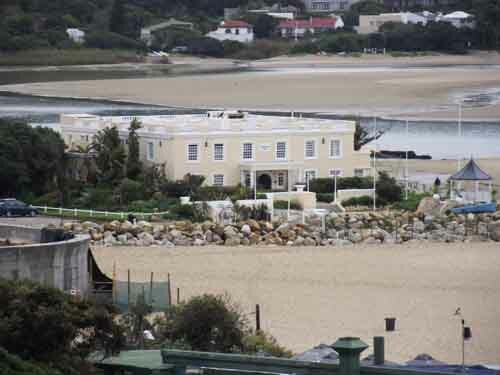 Milkwood Manor still has the beach car park and trees in front of it. 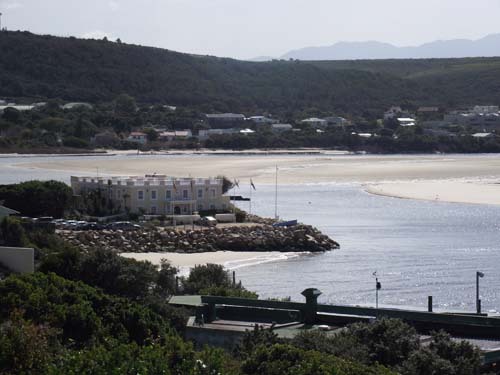 Notice the level of the car park in respect to the building. 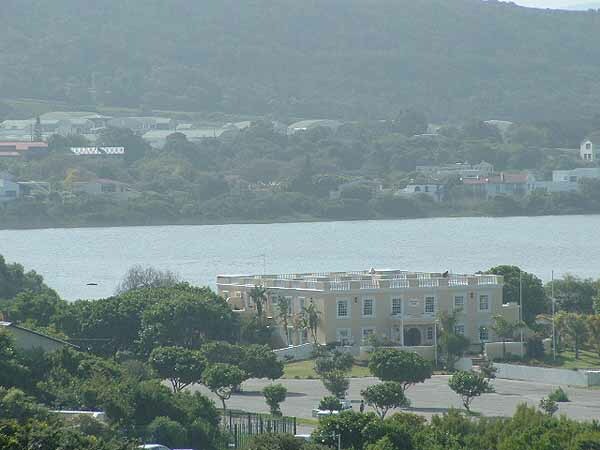 Then on the 23 of November 2007 all hell broke loose when the 100 year flood that was predicted happened. 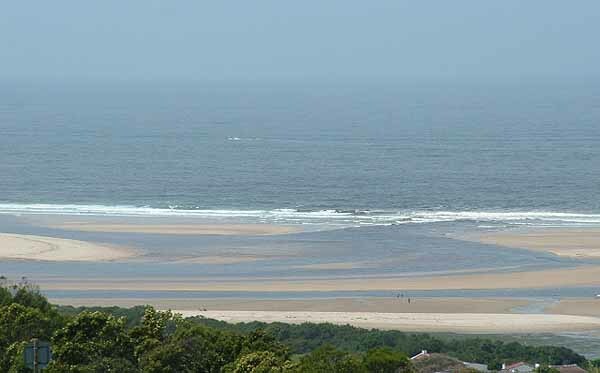 The mouth of the Keurbooms River moved westward to the base of the Lookout Rock and swept everything that was in its way into the sea. 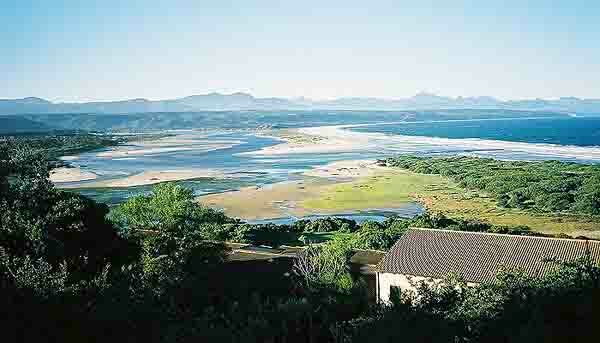 The photos below were taken in September 2008 and you can see some of the damage caused by the floods. 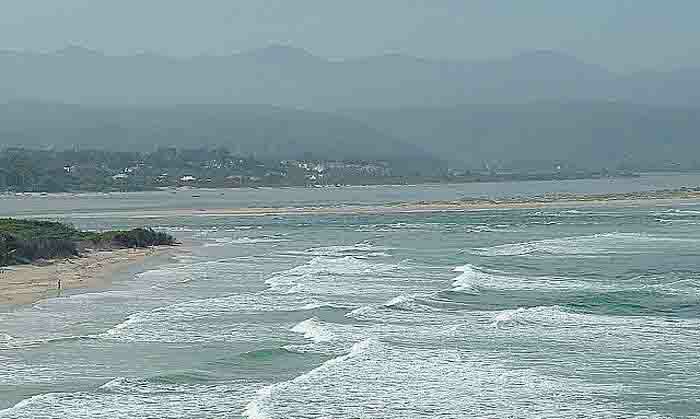 The mouth of the river is now back where it was about 80 years ago. 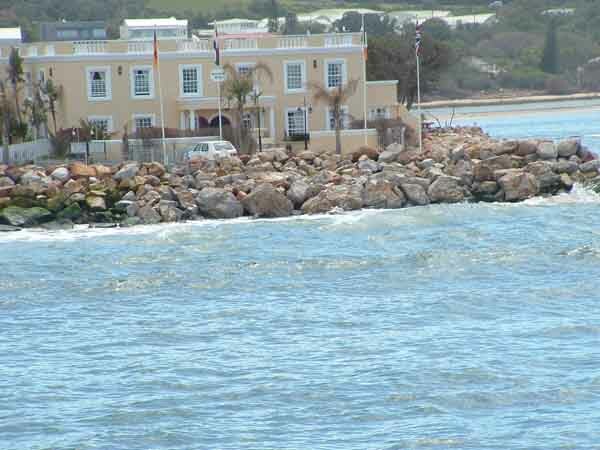 Milkwood Manor has been shored up with some large boulders. 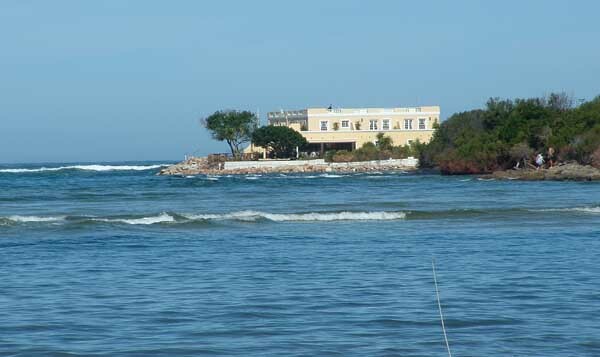 Should another flood and high seas occur at the same time it is possible that the Manor could be flooded and even swept be away. 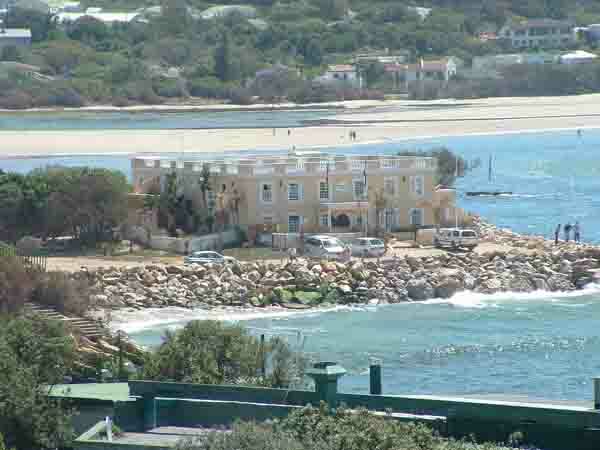 Milkwood Manor photographed from the rear with waves breaking around it. Its amazing how nature works. 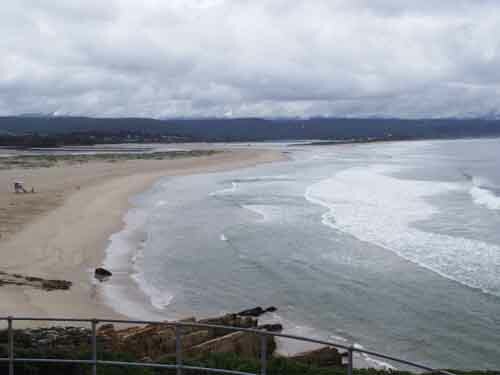 The next time there is a large flood in the river the mouth will most probably move back towards the Lookout rocks. 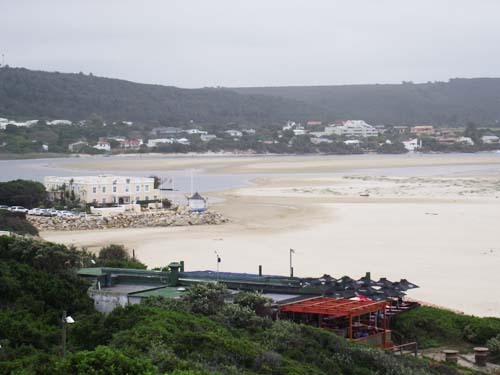 Sand dunes appear to be developing near the front of Milkwood Manor. 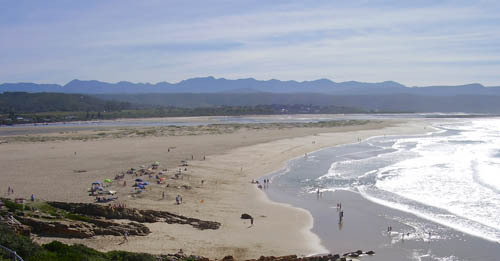 People swimming and tanning on Lookout Beach. 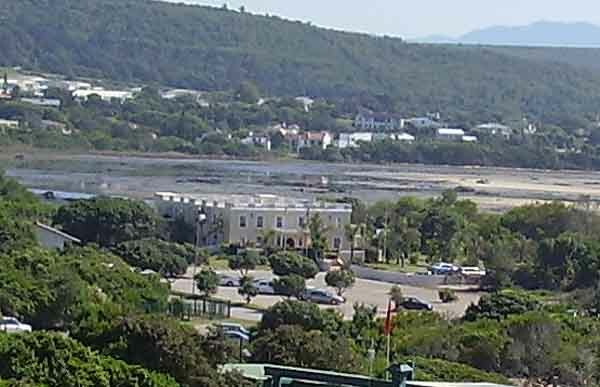 This photo taken from the hill behind the lagoon. 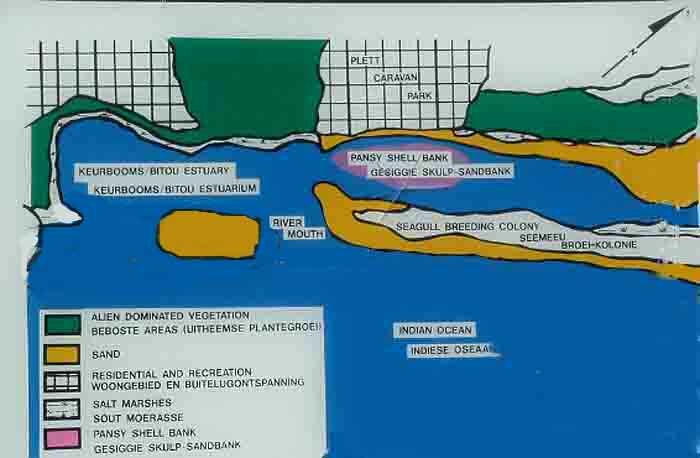 It shows the new mouth and where it is positioned now. 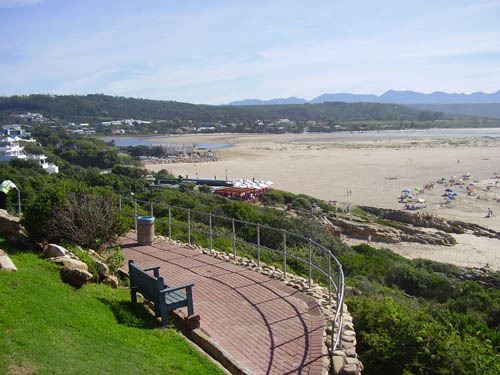 Milkwood Manor now has a lovely sandy beach around it. 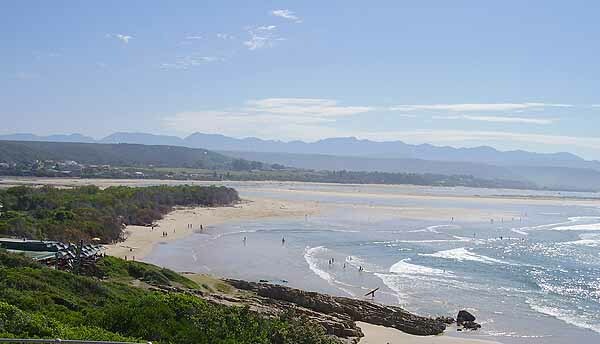 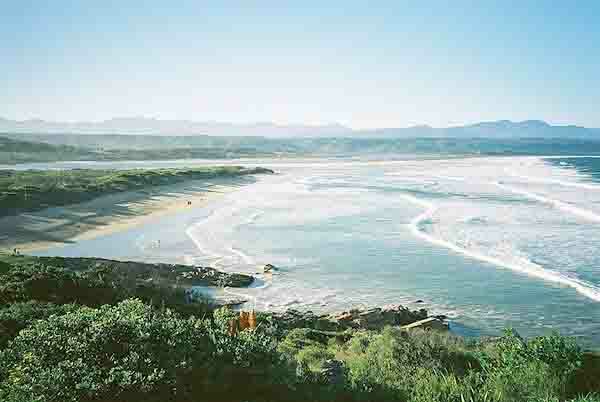 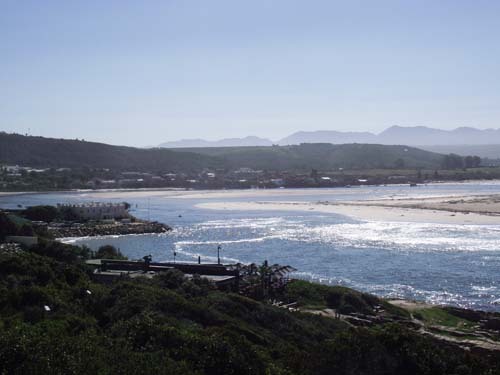 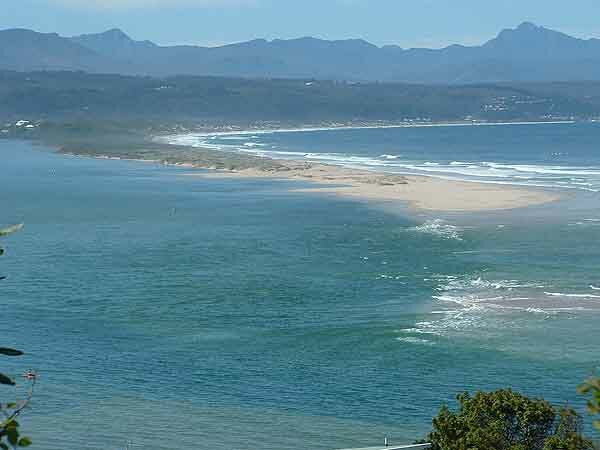 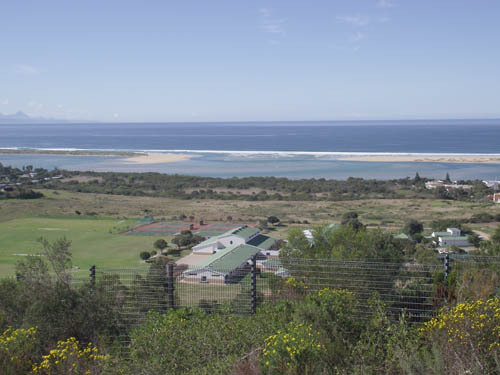 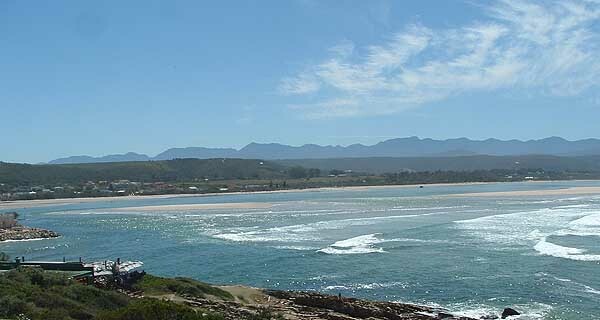 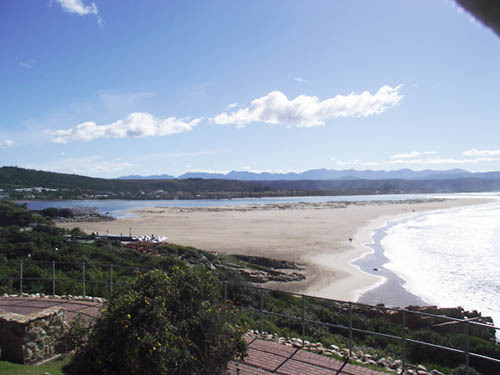 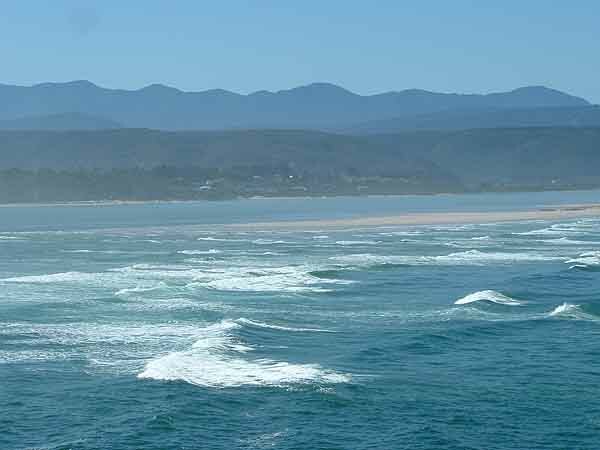 I will continue to monitor the river mouth every time I visit Plettenberg Bay and will add new photos as things change.